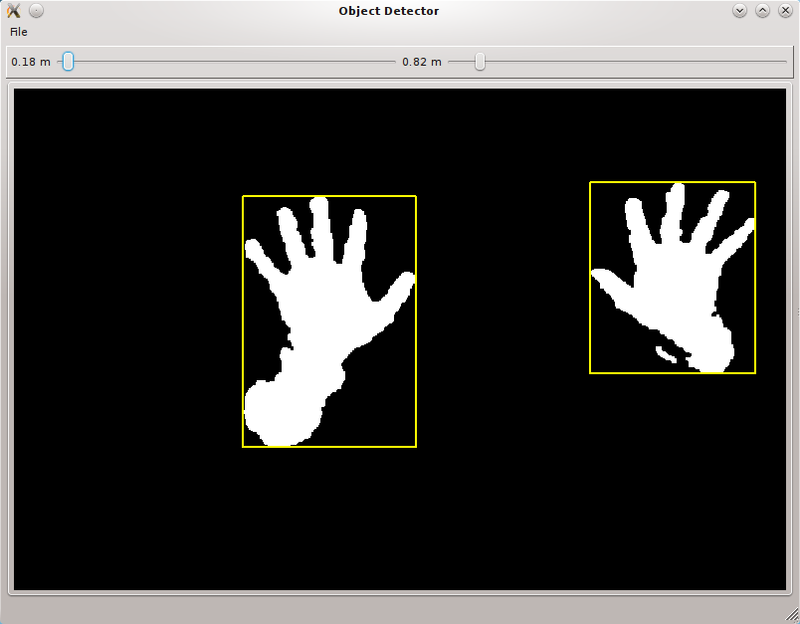 New since RGBDemo v0.4.0: if there is a kinect_calibration.yml file in the current directory, it will be loaded automatically. 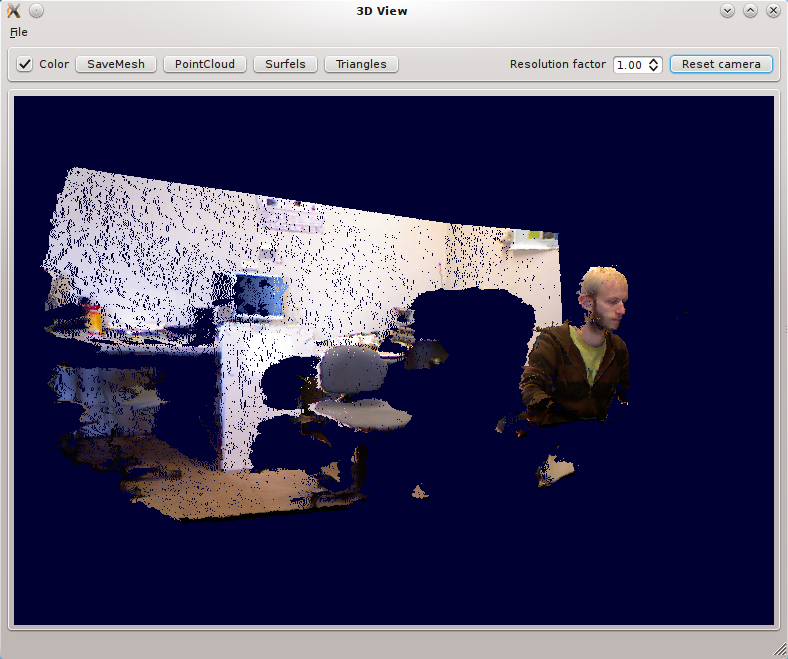 This is only possible with the libfreenect backend. 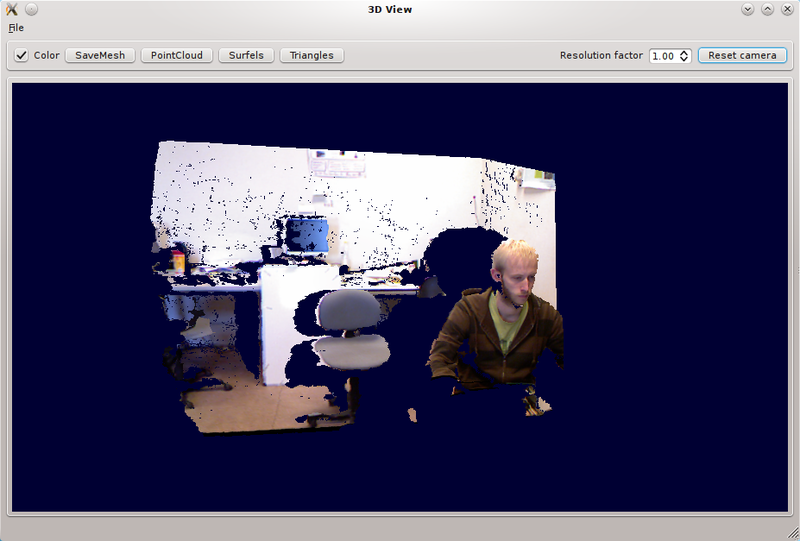 Open the Filters window and you can set the Kinect tilt on the bottom slider. 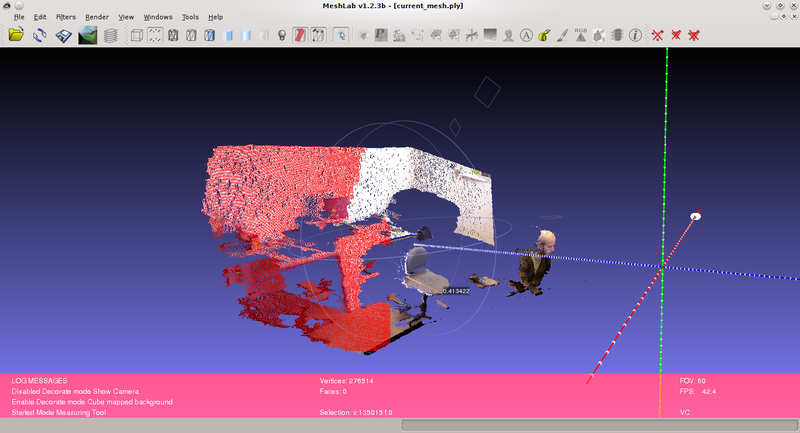 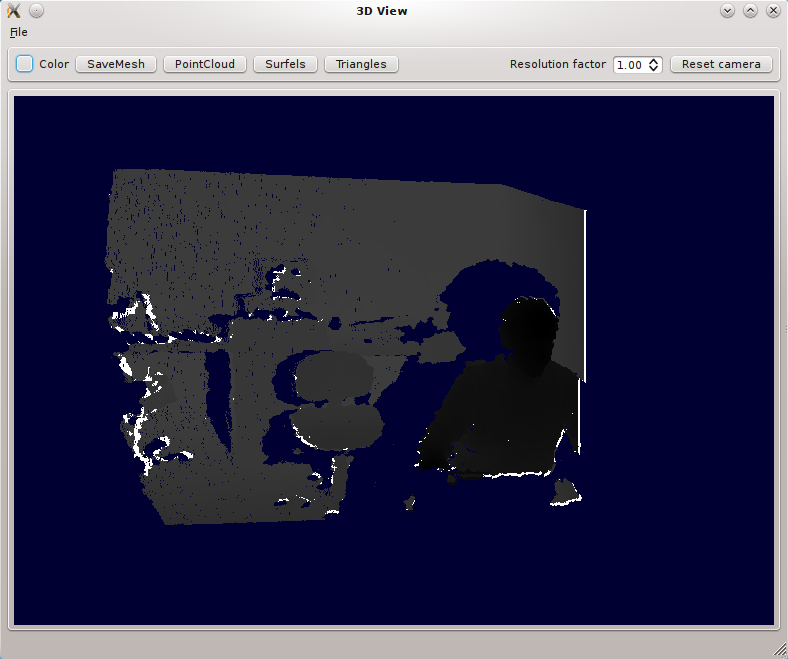 This will cycle through the set of viewXXXX images inside the grab1/SERIAL directory, where SERIAL is the serial number of your Kinect. 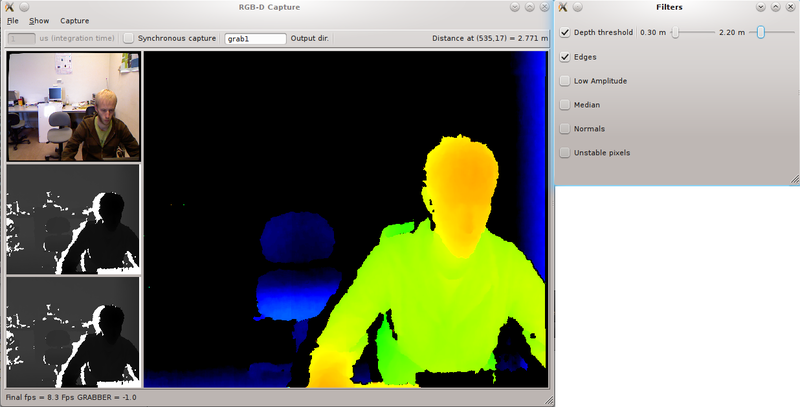 Note: You will also need a calibration file if you used OpenNI backend to grab the images. 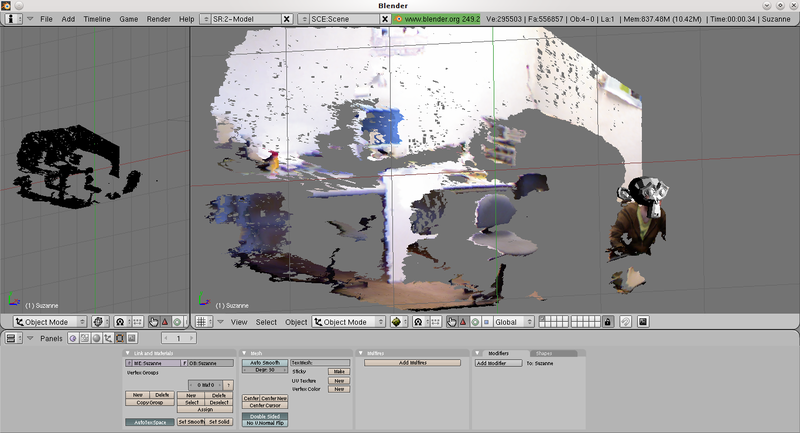 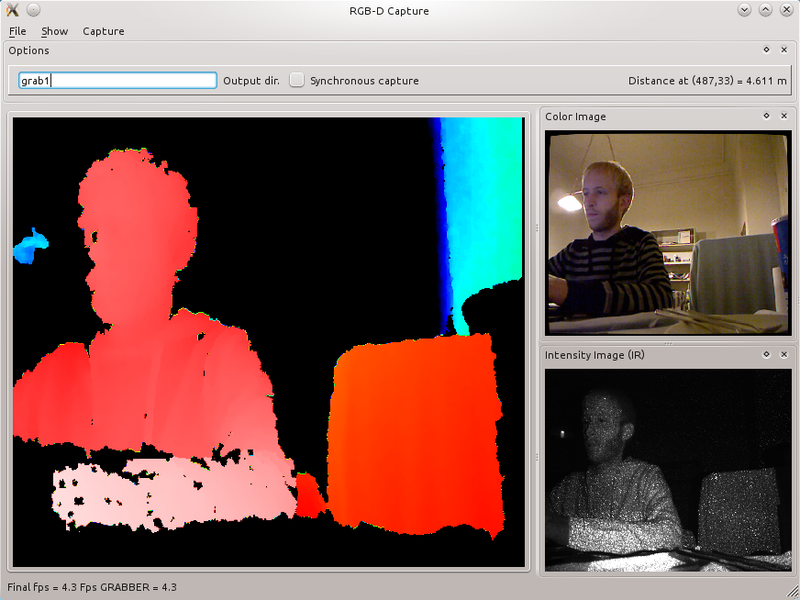 You can get one by running the viewer and selecting File/Save calibration parameters.